Some years the single peach tree in our garden produces so much fruit that I make enough jelly for our extended family and close friends. Other years, drought, warm winters, or a late freeze prevents the tree from bearing. Early this spring, we were delighted to see hundreds of pink blossoms turn into tiny fuzzy peaches. The bumper crop was due to the right number of cool winter nights and plenty of winter and spring rains. I counted the days until the flesh would ripen and the green fruit would morph to peach and cream, fuzzy, deliciousness. I imagined the first bite of the fully ripe fruit so juicy that the nectar would dribble down my chin. I purchased half-pint jelly jars from the local dollar store, envisioning the delight of my family and friends as we presented homemade jelly as gifts. 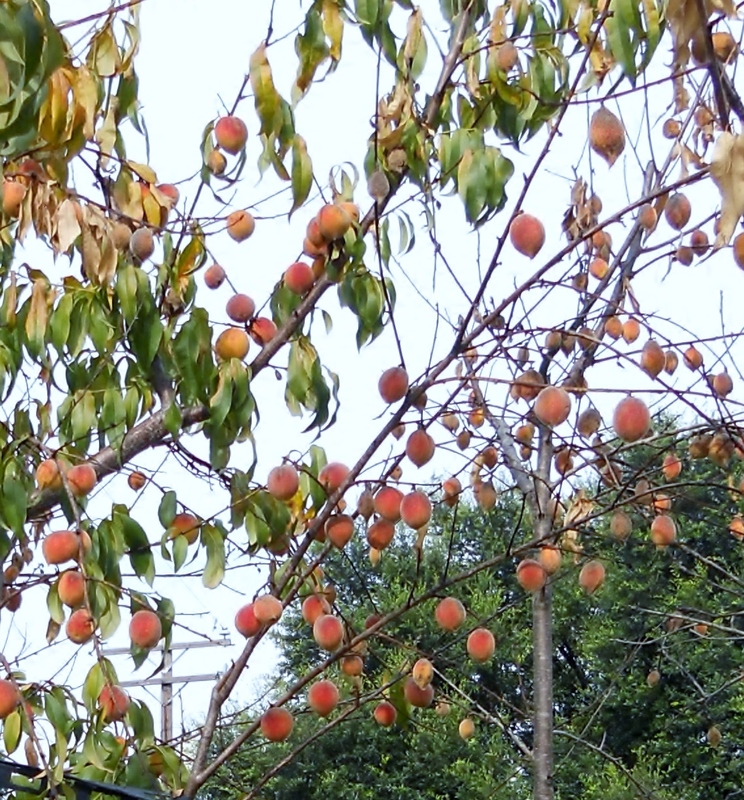 This year, the tree produced hundreds of peaches no larger than a golf ball. The tree dropped most of its leaves and looked sickly. I researched gardening websites to figure out what we had done wrong. Did we need more fertilizer or water? The answer was that we should have pruned some of the fruit. To be exact, we should have clipped away much of the small fruit allowing each peach six to eight inches of space on the tree. 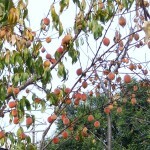 The gardening experts state that the tree cannot provide enough nutrients and water to grow the fruit the proper size. I’m concerned that our tree might not survive the remainder of the hot Texas summer and fall. My fruit tree taught me a lesson in self-care. While I’s counterintuitive to prune and discard what looks like perfectly good fruit, sometimes I need to do so. Sometimes I do so many things that I don’t do any of them well. Pruning my schedule and my to-do list helps me focus on quality rather than quantity. What do you need to prune from your life and teaching practice? After reading my last blog, My Son Would Have Turned 30 Today, several blog readers sent private messages to me sharing their struggles with their children who have depression or other brain chemistry imbalances. I’m honored when someone trusts me enough to share personal struggles. It’s tough for a parent to watch their child that they love more than life itself suffer, self-medicate, get in trouble with the law, or self-destruct in some other way. After Jay’s suicide, I received an overwhelming amount of love and support from my family, my church family, friends, colleagues from the district I worked in, and from colleagues from the school where I taught the previous school year. I received some type of sympathy message via phone call, email, card, letter, or flowers every day for a full year after Jay died. It is such a blessing to be a recipient of unconditional love. It’s not the norm for the parent of a school shooter. Most go into hiding due to the negative media attention and hostility from individuals. Since Jay’s death was so public, our family’s private life became transparent. There were camera crews covering the events as they unfolded at the school. They were at my son’s funeral filming our family and other mourners. My life and my son’s death were food for ratings-hungry media outlets. Our family was not perfect by any means. This became clear to anyone who watched or read the news. Others knowing my frailties and failures liberate me. It was exhausting to pretend I had a perfect life, perfect marriage, and perfect children. Having the worst happen in public allowed me to see the worst in people and survive. Consequently, I learned that I was stronger than public ridicule, betrayal, and my own guilt. I also learned how to forgive in a way I never thought possible. Once my private pain became public, friends, acquaintances, and sometimes complete strangers felt it was okay to share their very personal problems with me. My life’s events made me seem human and vulnerable. Like them, I had and still have personal heartaches and struggles. Some individuals shared that they were in unhappy marriages. Others confided their worries about their children’s, addictions, legal issues, suicide attempts, depression, or episodes of domestic abuse. It’s remarkable how those who seem to have charmed lives have more going on than one can see by looking from the outside. I learned that no one has a perfect life. Marriage partners have conflicts and sometimes divorce. 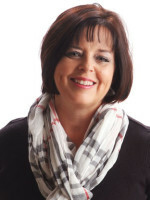 Families sometimes have job or financial difficulties. Most families have members with addictions, brain chemistry imbalances, eating disorders, health issues, or simply a child who is more difficult to rear than the others. Those who go to the greatest lengths to hide life’s imperfections typically have the most to hide. They are also the ones who hurt the most. People keep secrets because of guilt and shame. Hiding the secret gives it power. It is like the boogieman that hides in a child’s closet or under the bed. He is unknown and unexamined. He grows in the dark spaces of one’s mind and disappears in the light. Likewise, guilt and shame gain power in secrecy and lose their power when one turns on the light by sharing the secret with the right person or people. At one time, polite society members did not talk about certain illnesses, such as breast cancer openly. As a result, women needlessly died from inability to recognize the symptoms or from fear of seeking treatment due to embarrassment or shame. Mental illness and/or addictions are still taboo subjects. Those who are sick suffer more than necessary because they are afraid of the sigma of mental illness. When the pain is too much to bear, some take their own lives. It is time for discussions about mental health to become as ordinary as discussions about any other illness. The stigma, shame, fear, and guilt diminish in the light of frank discussions. What do you think? When is it okay to ask to help? What should remain private?